For $5000 plus a day, barristers' text books should be heavy. Dissolve’s Cliff Sanderson: appealing a decision that more than halved his fees. As counter-intuitive as it is, SiN will ignore the galling irony of six senior counsel each racking up $5000.00 or more a day to instead report on what caused this lavishly remunerated lot to be assembled. 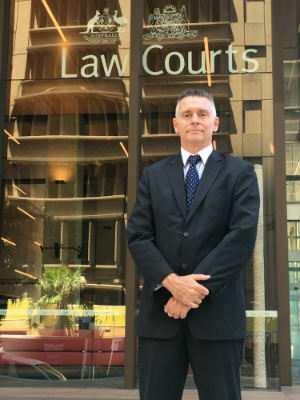 A hearing in the NSW Supreme Court of Appeal is what, specifically proceedings brought by Dissolve principal Cliff Sanderson after he took such exception to having his claim for $43,000 in remuneration cut to $20,000 by Supreme Court Justice Paul Brereton In the matter of Sakr Nominees Pty Ltd  NSWSC 709 that he challenged it. On Wednesday a full bench convened to hear that challenge and while the decision is pending coverage of the proceedings can disclose that both the corporate regulator and the peak insolvency practitioner’s lobby invested significant funds engaging heavyweight legal counsel to ensure their voices were heard. Sanderson on that score was assisted by the decision of his solicitors, Collin Biggers & Paisley (CBP) to run the case largely pro bono. The Australian Securities and Investments Commission (ASIC) was represented by Doran Cook, who unsurprisingly waxed lyrical about the “ad valorem” approach with its inherent principle of proportionality driving court some but by no means all decisions on insolvency practitioner remuneration. Also unsurprisingly, Cook was almost disparaging about remuneration calculated by reference to an hourly rate schedule, describing it as a license to print money and a method that lacked rigour. “The very notion that there’s some science in assessing the value of the time taken to fill out a form is illusory,” he told the court before adding that “there’s no difficulty with the rates. It’s the amount of time spent and whether its reasonable or not,” he said. This gets to the core of ASIC’s concerns. Liquidators, ASIC believes, cannot be trusted to record their hours accurately when the temptation to slap on a decent drink is immense and the opportunities to restrain limited given most remuneration is approved by creditors. Hence the regulator’s proselytising of alternate means. It cannot be ignored that ASIC’s application for leave to be heard by the Court of Appeal was made approximately one month before the regulator on October 20 extracted an enforceable undertaking from Sanderson following a review of one of his files. From SiN’s vantage point the full bench was not wholly enamoured with ASIC’s submission. After suggesting that an”ad valorem” approach was particularly appropriate in “small liquidations” Justice Margaret Beazley quizzed Cook about how one defined a small liquidation. His initial suggestion was one that would involve enterprises with net assets of less than $1 million. However after further debate he suggested that remuneration calculated as a percentage of realisations would best suit jobs whose net assets totalled $100,000 or less. That was countered by Federal court ring in Justice Jonathan Beach, who said there were authorities to support the contention that such percentage-of-realisation style approaches were better suited to larger appointments. Not to be outgunned, the Australian Restructuring Insolvency & Turnaround Association (ARITA) brought Noel Hutley SC to the fight. He invoked Dickensian litigation Jarndyce and Jarndyce, raised the point that costs vary from state to state and submitted that in his enthusiasm for an ad valorem-inspired alternative to hourly rates, Justice Brereton had embarked upon a course that is “without juridical basis”. Sanderson’s counsel Vanessa Whitaker told the court Justice Brereton’s error lay in the way he arrived at the figure of $20,000, given the facts put before him. ASIC, ARITA and the insolvency profession are now on tenterhooks while the bench deliberates. Perhaps the suspense may be alleviated by pointing out that judges don’t get paid by the hour, or for that matter, by the day. 2 Comments on "Sakr Appeal: ASIC pitches for proportionality"
Ad valorem means that the fees drawn should be in proportion to the estimated value of the goods or transaction concerned. Quantum meruit means a reasonable sum to be paid for services rendered or work done when the amount due is not stipulated in a legally enforceable contract. 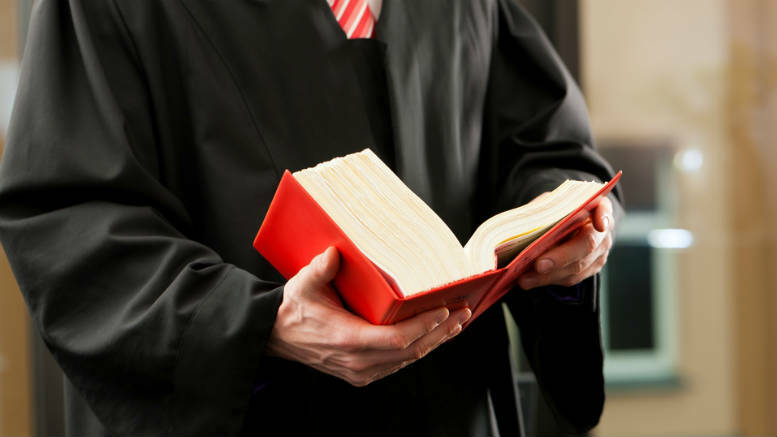 Does ASIC’s counsel suggest a percentage based approach is best for small liquidations? Most small liquidations have $20,000 or less. If so, what percentage of asset realisations is a liquidator entitled to charge as fees? Is there also a suggestion there should be a corresponding reduction in the amount of a liquidator’s investigative and other work that ASIC and the Act presently require to be performed? If so, what part of a liquidator’s important work can be discarded? It seems ASIC is trying again with an argument rejected by Barrett J in a One.Tel decision  NSWSC 1120 as to whether a liquidator seeking remuneration for specified activities must show that “benefit” flowed from those activities. Justice Barrett described that issue as “sterile”, saying that “the real question is whether the activities for which remuneration is claimed are within the scope of the liquidator’s functions”. For example, the liquidator needed to obtain litigation funding, and it was within the scope of his functions to seek out potential funders. This was obviously an activity to be remunerated. But “that characterisation would not suddenly change when the negotiations broke down and no ‘benefit’, in the form of a litigation funding commitment, was achieved”. Though my point, explained elsewhere, is that just as the government is working on a funding model for insolvency regulation (by ASIC), it should also work on a funding model for the conduct of insolvency administrations – the insolvency system itself – preferably from an economic rather than a legal perspective. Our privatized system in corporate insolvency is economically and legally dysfunctional and contradictory, and this lies at the base of many problems, including how to properly fund the practitioners who try to administer it. The appeal decision is really just a side show and hardly justifies the considerable expenses said to have been incurred, even taking into account ASIC’s restricted fees under the legal services directions. These fees should all be disclosed to allow an assessment of the proportionality of the whole proceeding.